As featured in LOOKASTIC. Growing up as a tomboy, I remember my stereotypically tomboyish love of gameboys, dinosaurs and the love of the camouflage print. Destiny's Child's video for Survivor also expanded and lengthened the affair. 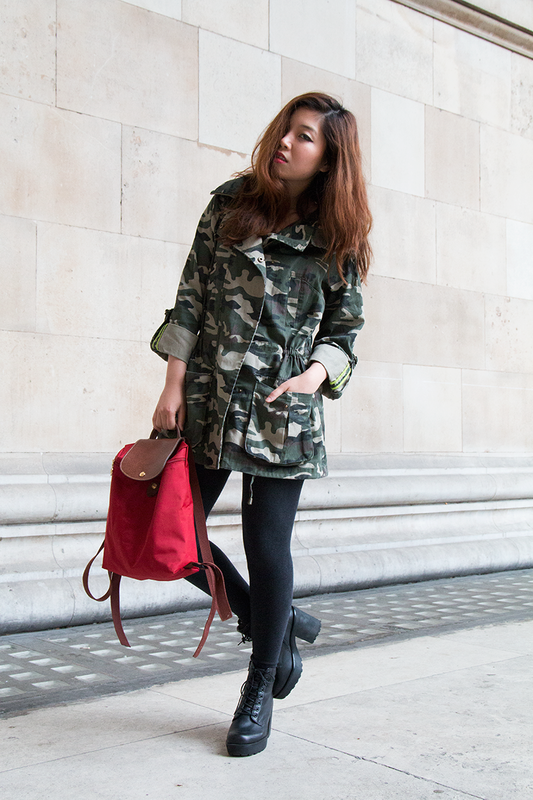 Camouflage, for me, tends to add a little bit of attitude without any effort at all. This jacket from PRIMARK was a steal at under £20. There's so much utility from this piece, I'll hike, travel around London, and meet friends in it. If it needs a wash, because it's not really a pricey buy, you can just chuck it in the washing machine and voila! To be honest, when it comes to fashion, easy is best for me. I just want to grab and go, and not faff about - this jacket does exactly that. What I love about camouflage is that you can accent it easily with primary colours, which is what I've tried to do with this look. LONGCHAMP is timeless in its ability to design bags that maintain their fashionable purpose but nonetheless can be used beyond that. I feel like I'm carrying around a cooler version of Mary Poppins' bottomless bag when I've got this baby flung over my shoulders. This red is one of my favourite colours - it just pops out at you! 3 comments on "RED ALERT"
I love this look!!! I used to be a tomboy and gameboys....yesss please lol! When I seen the destiny child video I fell in love with that print!!! This is such a great find especially for the price! I'm definitely going to pick up a camouflage jacket now! I love that you paired it with that red soooo cute! You look amazing and I love the photos! Dear Jasmine, that's so kind of you for coming by. You are too kind! Yes to tomboys ;)! I'm glad I'm not the only one who's big on gameboys. 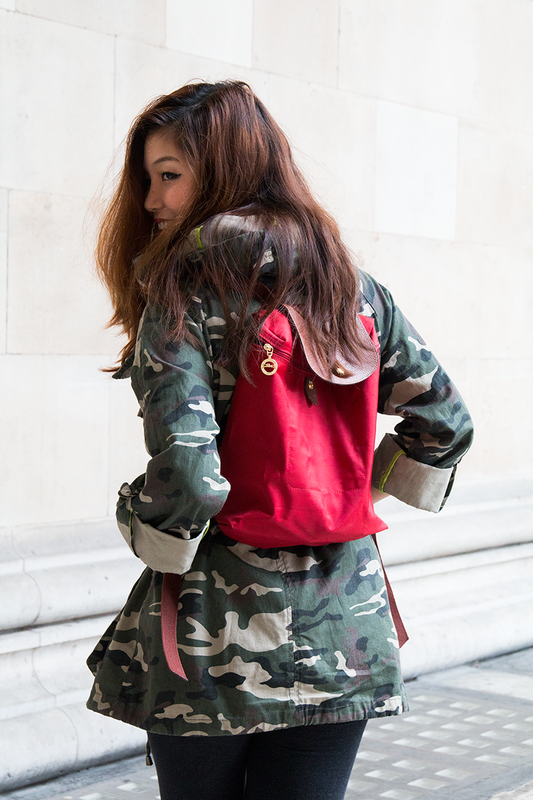 Check out the camo jacket from Next I've added to the post if you're keen!